While in college studying Electronic Engineering, Liam also trained at the Galway Film Centre in Film and Video Media Studies (GMIT Cluain Mhuire) and later studied Drama at the Galway Theatre Company with the inspirational American theatre director Lily Hill. Liam became a regular stage actor and director on the Galway circuit including the Town Hall Theatre, An Taibhdhearc - National Theatre of Ireland, Project '06 (Galway Arts Fringe Festival) as well as several national tours of Ireland. Through his theatre company Abu Theatre, Liam has written and directed two stage plays, the acclaimed social drama The Tinker's Blade (2006 & 2007) based on the infamous Nally-Frog Ward murder trial and the sell out comedy 1798 - The Year of the French (2008). With Blue Selkies Theatre Company, Liam co-produced the Radio play version of "1798 - The Year of the French" in 2008.That same year Liam made his screen debut with The Summer of the Flying Saucer, starring Robbie Sheehan and has gone on to feature in several Film and TV dramas including the award winning Mobs America, The Hardy Bucks, Fair City and Ros na Run. Liam set up his production company 919 Films to focus on his Film and TV projects including the "Ticket To Ride" short film, "Father Alex's WebCam" web comedy and "Racism in Galway - The Henry Williams Story" documentary. 919 productions have featured at over 14 international film festivals. Liam also has produced and contributed to current affairs productions at TV3 (unaired host presenter) and RTE (documentary contributor) as well as his own Averity TV interview web series in Ireland and the USA. Current 919 Films productions are the Comedy Web TV Series "Breaking Hollywood - one actor at a time" (in post production) while the award winning "Top of the Rock" short film based on the drama behind the most iconic of New York photos - "lunch atop a skyscraper" was released in the Summer of 2015. 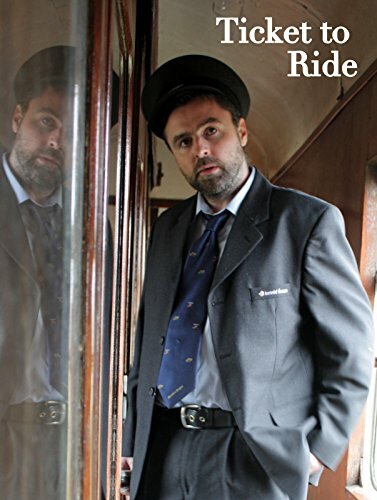 Liam's eclectic romantic-comedy short film 'Ticket to Ride' starring Vivienne Connolly and Johnny Elliott is now available to rent or buy on Amazon.